Sunday’s are my favorite day, which I may haven mentioning that before, mostly because I think brunch might be the most civilized meal ever invented. While going out to restaurants with delicious options, bottomless beverages, and goof friends is delightful, sometimes staying home is just as fun. Plus you can eat in your flannel pants and share food with polite kittens who demand a chair at the table! 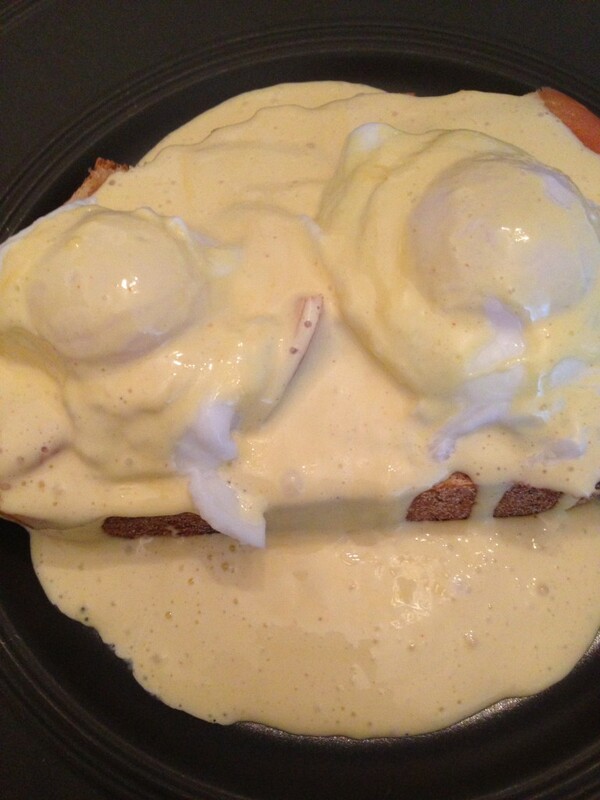 My favorite is a good eggs Benedict and after a lifetime of buying my hollandaise sauce I decided to try making my own. And ho-ly crap is it easy. I used Julia Child’s recipe and with the exception of not melting the butter early enough, and sadly overcooking one of my eggs, I was done making brunch in about 20 minutes. I do highly recommend using the pinch of cayenne that Tori recommends in the recipe for an extra little kick to your Sunday. 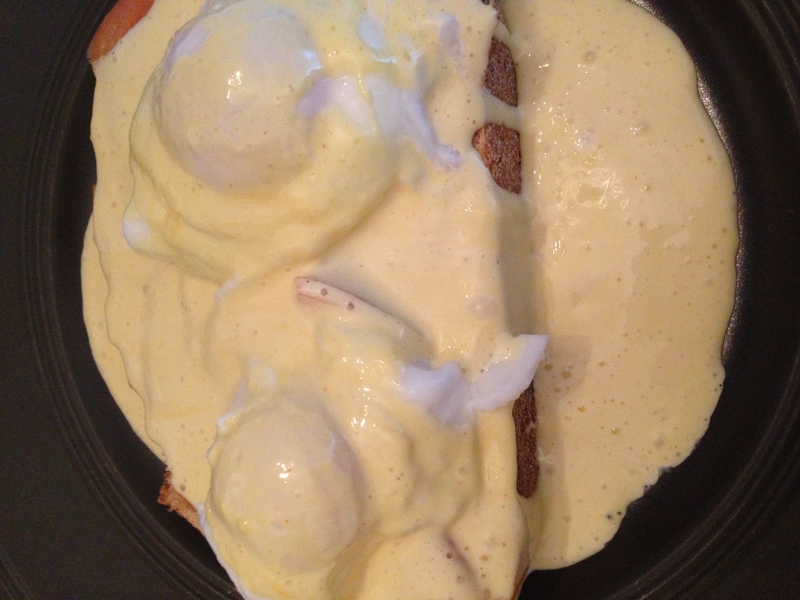 I had always thought that hollandaise was meant to be a thick and incredibly rich sauce, however this version is light, airy, and very lemony, the perfect way to offset toasted bread topped with a poached egg.